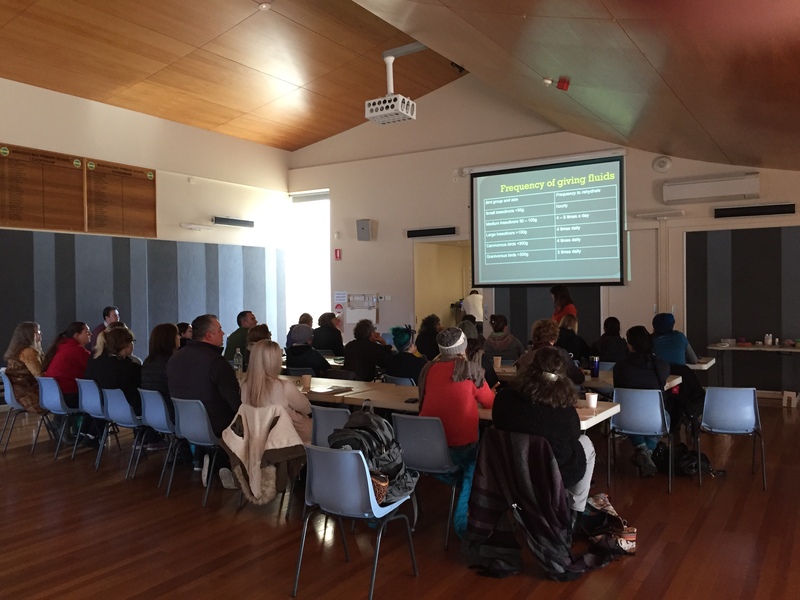 The second TWRC wildlife rehabilitation workshop for 2018 was held in Hobart over the weekend of May 26 and 27 with renowned wildlife vet Dr Anne Fowler and Wombaroo consultant Gordon Rich presenting the Advanced Bird Care course. Thirty-one people attended this fabulous workshop ranging from experienced bird rehabilitators and DPIPWE employees including bird carers on the Orange Bellied Parrot Program to vets and TWRC members interested in improving their skills in wild bird caring. 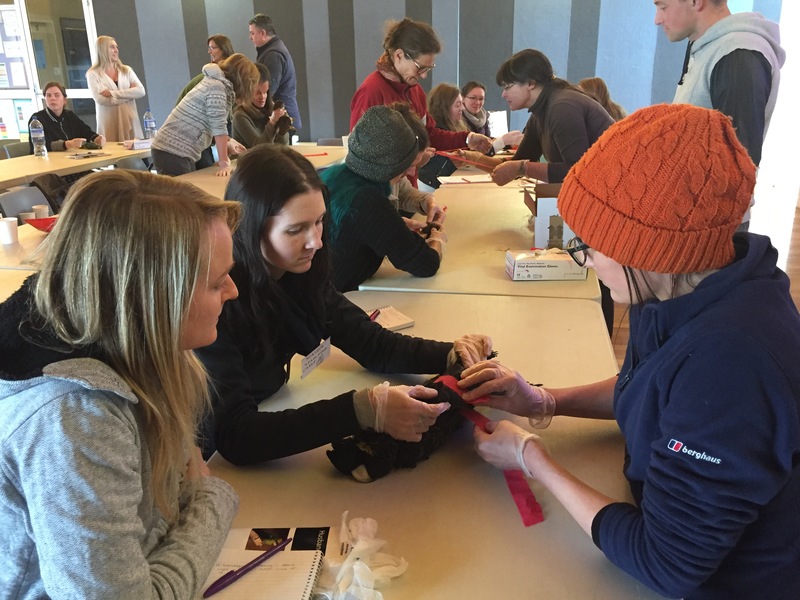 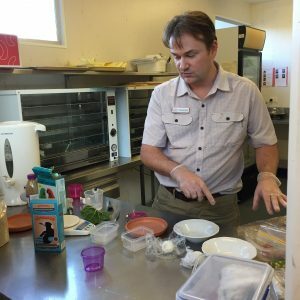 The course covered the theory of triage assessment, wounds, pain management, diseases and offered excellent hands-on learning through practical sessions on rehydration techniques, bandaging, feeding regimes and rehydration techniques. 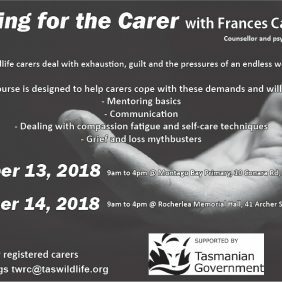 TWRC would like to sincerely thank Dr Anne Fowler who generously shared her avian knowledge gained over many, many years as a wildlife veterinarian and for again supporting Tasmanian wildlife rehabilitators in their training. We are also very grateful to Gordon Rich from Wombaroo whose knowledge of bird handling, bird feeding and statistics was amazing. 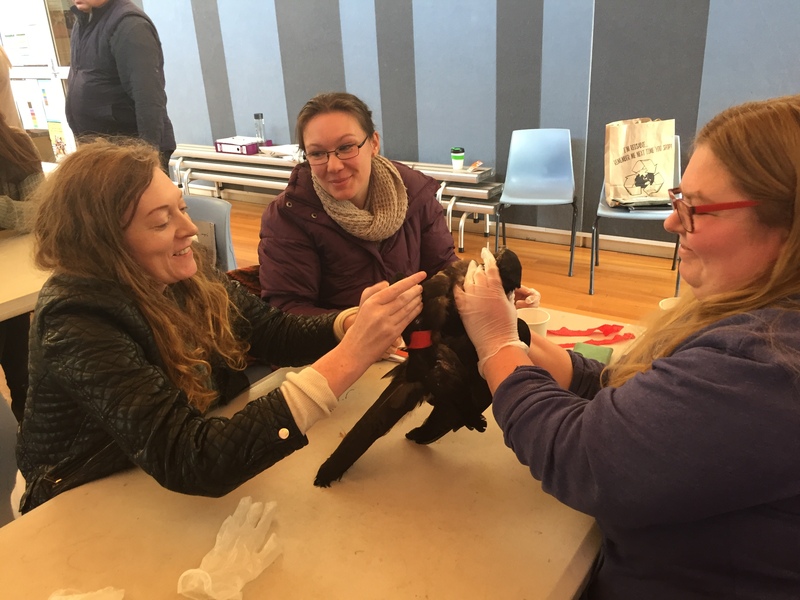 We are sure everyone who attended left with a greater knowledge on how to care for injured and orphaned wild birds coming into their care. 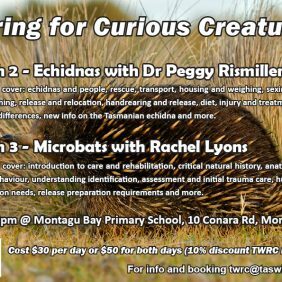 The TWRC would also like to thank the Montague Primary School for donating the hall for our use and NRM South for their community grant which assisted the TWRC in presenting this wonderful opportunity for learning more about caring for our Tasmanian wild birds.